Item number 3260/126 a-b from the MOA: University of British Columbia. 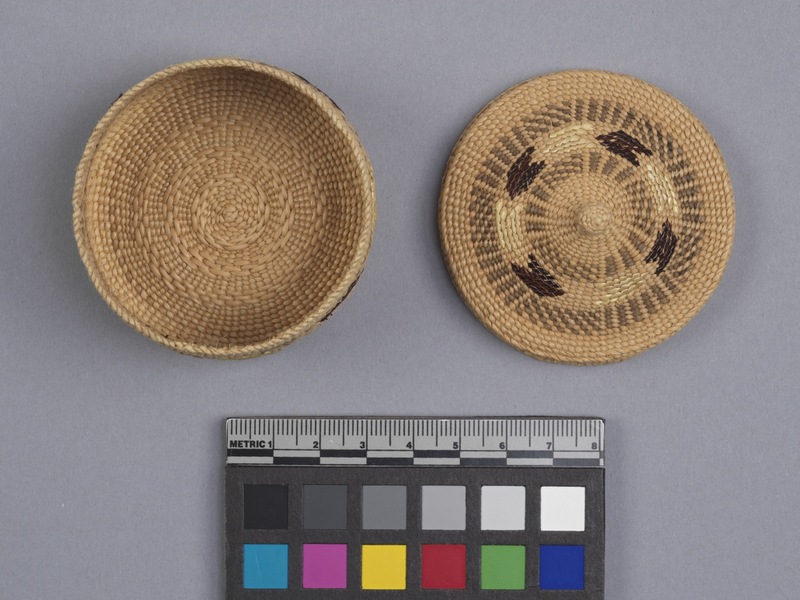 Small round spruce root basket (part a) with lid (part b). 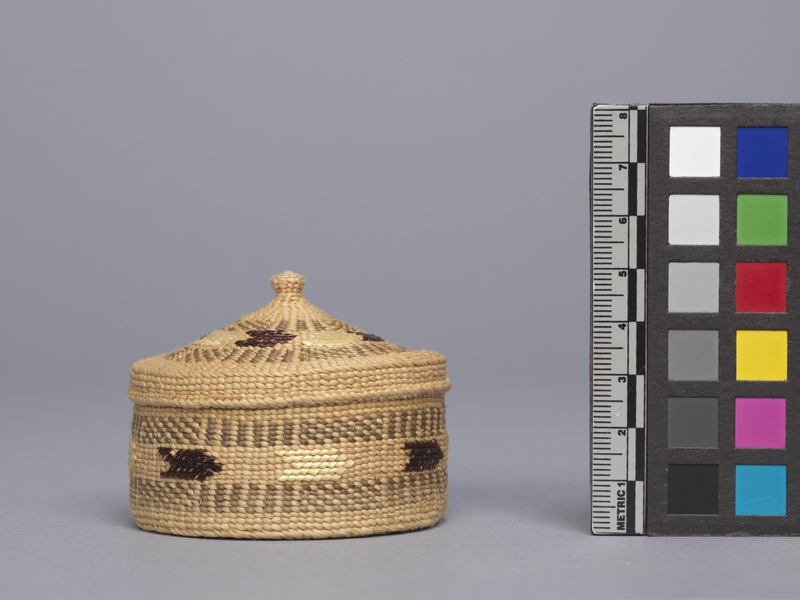 The basket is decorated with sets of equally spaced grey-brown parallelograms encircling the side, with alternating light and dark brown arrows at center. 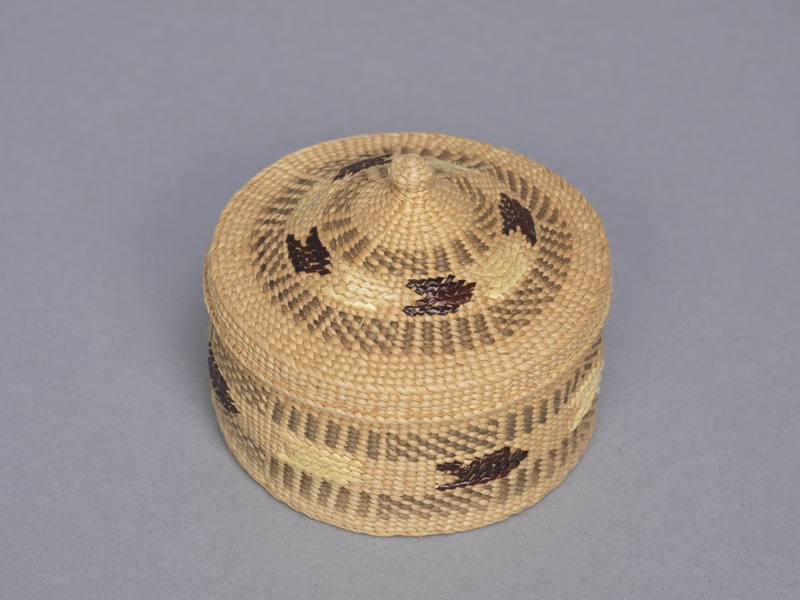 There is a small raised woven knob in the center of the lid.